8am - With all the restaurants in operation now, a person who opens up a new eating place nowadays has to have a lot of confidence in their business acumen! AND! If the new joint is being named, "Pancake House", then it better be making the very best, top notch, perfect pancakes. 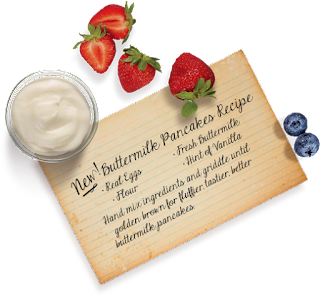 Recently, the giant restaurant chain, Denny's, reformulated their recipe for "Buttermilk Pancakes." Denny's new pancake recipe, according to their promotion campaign, is NOT a mix. Includes real eggs, flour, fresh buttermilk and a hint of vanilla. With this pancake promotion, Denny's is trying to "capture" the pancake market. You know something? I believe that Denny's new pancake recipe is more than good enough to succeed in that market capture. However, the newly opened Pancake House where I am eating breakfast this morning, does NOT cut it. Not with their "mushy" pancake! I've owned a Garmin GPS for use in my car for perhaps 10 years. In 2014, I replaced my Samsung cell phone with an iPhone. This iPhone used a Google App which is a GPS. That Google GPS App was pretty good. But not real good. So, I used both the Garmin and the Google GPS Apps. Over time, I noticed improvements in the Google GPS App. And recently, the Google GPS App got really good. Maybe even went into the "great" class. Google's GPS/map App sends verbal directions to my Honda FIT radio. If I am listening to Pandora Radio music AND Google App directions at the same time, the music volume gets really low while the Google App directions are being spoken! Really cool! Yesterday I removed the Garmin from my Honda FIT. Google had obsoleted the Garmin. A fantastic achievement for Google. They are killing a pioneer in GPS equipment! 7pm - I've read that the population of bees here in San Diego County has dropped a lot. However, I've been spending a lot of time on my balcony lately, and I see lots of bees out here. The bees are especially interested in my hummingbird feeder filled with sweet nectar! 8pm - The Guava Gardens swimming pool and spa remain closed to tenants. We are even not allowed to enter the pool area where we usually meet! There is a lock on the pool gate! Third day for this locked gate. Why are tenants not told the actual reason for this closure? Why are we not trusted inside the pool area where we usually sit and mingle? I find it a wast that someone would invest time and money into a new Pancake House and then serve Mushy pancakes. Happens way too often -- opening a restaurant is a high risk venture even with a good product. 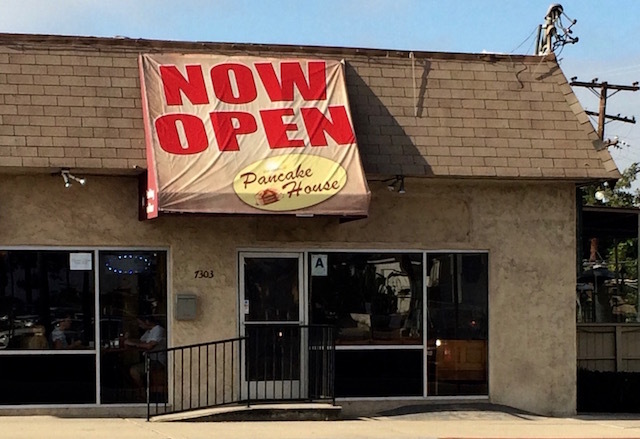 My apartment is equidistant from Denny's and this new Pancake House. Not only is Denny's about 1/2 the price of the new Pancake House. Denny's recently introduced a new recipe for their Buttermilk pancakes that are fantastic in comparison to Pancake House. The pool may be out of its proper readings and it will take time to get it right. It may not have passed inspection. But they should move the furniture out for everyone to meet. Yes, you are correct. There are likely good reasons for the pool closure. However, wouldn't it be better if tenants were told WHAT those reasons are? Just a note put up for tenants to read so all would know and understand? PS: I am one of those meek ones. Not worth the possible problems by putting my nose into this pool closure. I wonder who is in charge? Is there no procedure for residents to ask questions? If the chemicals are not correct, seems like there could be a sign saying no one is allowed in the water. The owner of the apartment house [81-units] is in charge. He comes here for several hours, M-F. He is sort of an intimidating guy. If a tenant, for example, had too many questions about the present pool closure, that tenant might have troubles! That's the reason that tenants here are kind of meek. At least your pool is not green like at the Olympics!!! !